Dogs Trust, the largest dog welfare charity in the UK, is working with specialist outsourcing firm Echo Managed Services on a major drive for all dogs in England and Wales to be microchipped by 2015/16. As part of its partnership Echo has established a dedicated microchip advice telephone line for dog owners to get in contact, and for Echo’s agents to connect dog owners with participating vets to get their pets ‘chipped’ for free. The campaign has already resulted in some 20,000 dogs being ‘chipped’ and their owners registered on a nationwide database. Dogs Trust’s outreach campaign is gathering momentum to help meet the Government’s 2016 (for England) and 2015 (Wales) deadlines for all dogs in England and Wales to be ‘chipped’. Dogs Trust initially asked Echo for advice on setting up and managing its microchipping helpline, and Echo consultants have designed a flexible bureau staffing approach to ensure customer demand is met as cost-effectively as possible with call volumes predicted to rise as the legislative deadlines approach. Pet owners calling the dedicated helpline are provided with details of their nearest participating vet which Echo agents identify using their post code. Commenting on the campaign with Echo, Elvira Meucci-Lyons, Head of Campaigns and Communities at Dogs Trust said: “Each year more than 100,000 dogs are lost or abandoned at a cost of £57 million to the taxpayer and welfare charities, so Dogs Trust is keen to support microchipping legislation as this should improve both animal welfare and owner responsibility. 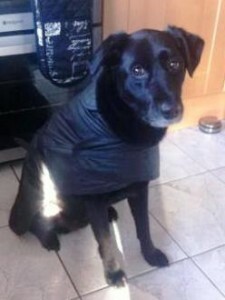 Photograph Caption: Lauren Stewart was reunited with her black lab mix Chloe as a result of the Dogs Trust microchip scheme that Echo Managed Services is helping to deliver. 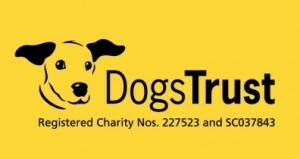 Be the first to comment on "Dogs Trust selects Echo Managed Services for national microchip helpline"